Fig Tree (Ficus carica): growing, planting, caring. The tree that grows figs... A piece of cake, provided it is well-exposed to sunlight. The fig tree, also known as the common fig (or simply the fig), is a fruit tree in the mulberry family. 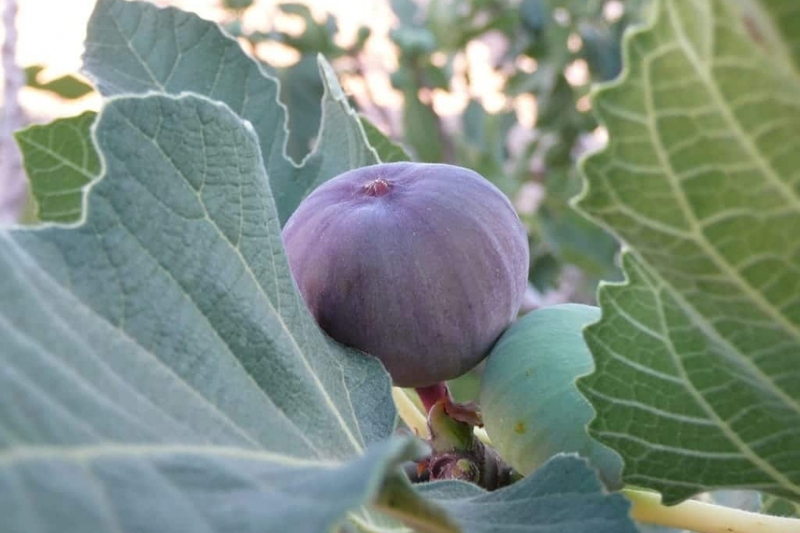 Seen as a symbol of the Mediterranean Basin, where it has been cultivated for thousands of years, the fig is the only European representative of the Ficus genus, which consists of around 850 species of mostly tropical plants. It is not immune to freezing during especially harsh winters, though it is able to grow back again from the root. The fig — ficus carica — is a special case among fruit trees, as besides the fruits it produces, it is a very beautiful tree. Its dark green foliage and the shape and size of its leaves also provides a nice shady area in summer! Plant the fig sheltered from cold and wind — if your region has a cold climate in winter, a nearby wall provides protection — in common soil, in direct sunlight. It's best to plant it at the end of autumn or spring, in thawed soil, during the plant's dormant period. One says that the fig loves to have its feet in the water and its head in the sun, because the soil must be cool for healthy growth and beautiful fruits! Form a basin around the base, which will be used for watering the first months by tamping down the soil around the roots. Don't hesitate to use all of your body weight! Water until the planting basin is full — at least two watering cans! In April, you can pinch the young branches, meaning to cut the ends with your nails. In pruning your fig, you can accelerate its growth and improve the fig productivity. Once all the autumn figs have been harvested, you can carry out a winter trimming to boost the next fruit crop. This consists of removing, as close as possible to the trunk, the oldest branches that produced figs. After this trimming, a number of suckers will grow from the base of the tree. Keep the most vigorous and cut all the others. If there are too many branches, the fig might wear itself out quickly! Thoroughly mulch the base of young figs the first year with wood chips or bark. This will limit weed growth, and you will avoid the chore of watering! Be careful, the figs ripen at once, very quickly, so from July to September you should harvest every day. Otherwise, you will make some passing birds happy.